When Rabbi Debra Rappaport became the spiritual leader of B’nai Vail Congregation in Vail, her proud mother, Susan H. Rappaport, made her a stunning cashmere tallit, along with a matching tallit bag out of silk. The meaningful pieces brought the rabbi to tears, and she cherishes both of them to this day. Now others will be able to share the joy the rabbi experienced when she first received her personalized tallit and tallit bag because both are showcased in a new book exploring the world of Jewish fabric crafts and the inspiration behind this imaginative work. Called “Jewish Threads: A Hands-On Guide to Stitching Spiritual Intention into Jewish Fabric Crafts” (Jewish Lights Publishing, 288 pp. ), the book presents 30 fabric craft projects, created by talented artisans from throughout the United States and Israel. Compiled and written by Diana Drew with Robert Grayson, “Jewish Threads” delves into the backstory of each of the pieces spotlighted in the book–how and why they were made and what sparked the idea for each one. The artisans whose work is presented in the book freely share the influences in their lives that prompted them to create the pieces contained in this treasure trove of Jewish fabric crafts. For Susan Rappaport, who lives in Minnesota, making the tallit showcased in “Jewish Threads” was a family affair. In choosing the materials for the tallit, Susan used white cashmere from sweaters worn by her husband, Gary; her daughter, Debra, the intended recipient; her other daughter, Lissie Schifman; and by the artist herself to ground the tallit in a sense of family heritage. Susan sewed everything by hand, making the tzitzit (ritual fringes) from directions she found on the Web. Author Diana Drew spent a year and a half sifting through a myriad of projects from throughout the United States and Israel, choosing those that reflected deep-rooted connections to Jewish heritage and contemporary Jewish life. Each project had to have a compelling story behind its creation, and fit in with the overall concept of the book as both a volume of stories about artisans’ spiritual intention in making these crafts and a how-to book for novices as well as more experienced needlecrafters. 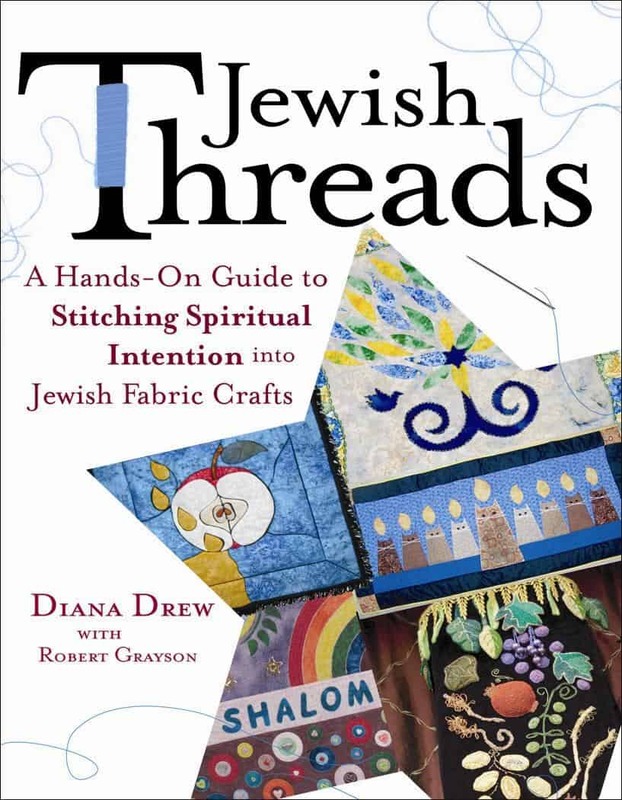 “Jewish Threads” is designed to motivate readers to fashion some of the traditional ritual items as well as more contemporary pieces included in the book–individually or in groups–by offering easy-to-follow, step-by-step instructions at the end of each of the stories about the fabric artists and their spiritual intention. Most of the projects are relatively simple, and make wonderful gifts. Readers are encouraged to draw on their own life experiences to give the pieces they make a distinctly individual flair, a one-of-a-kind feel. So the book can serve as a springboard for readers’ own imagination and creativity. “Jewish Threads” craft projects range from wall hangings for the home to shulchan (lectern) covers for the synagogue, whimsical pieces for celebrating holidays (a ChanuCats quilt for Chanukah and Dancing Hamantaschen costumes for Purim, for example), and meaningful craft projects to honor milestones in the Jewish life cycle, such as healing and memorial quilts. Some of the crafts presented in “Jewish Threads,” such as challah covers, have roots in Jewish tradition, while others, including Purim puppets and a knit seder plate for Passover, play off centuries of tradition, while incorporating a contemporary spin. 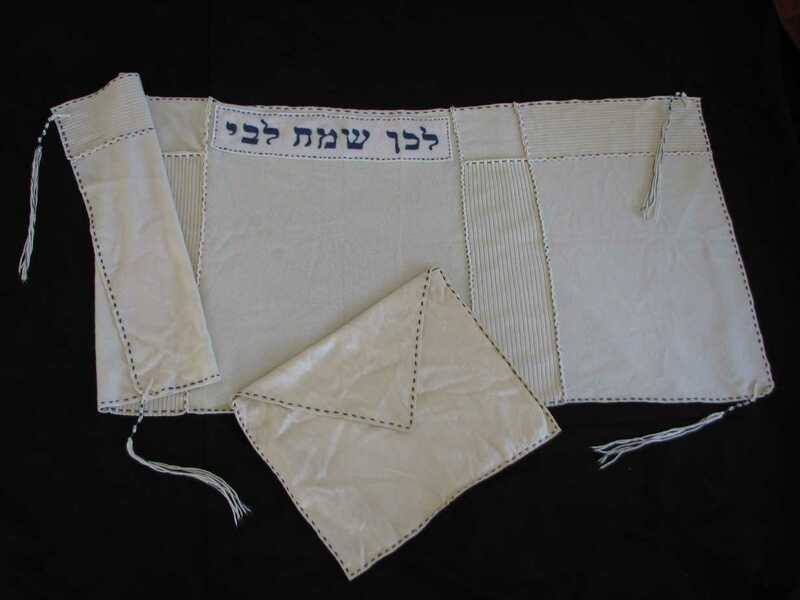 Among the fabric craft techniques represented in “Jewish Threads” are quilting, needlepoint, knitting, crochet, felting, embroidery, appliqué, needle felting, and counted cross-stitch. “Jewish Threads” is available at major bookstores and online. Despite of our modern ways of living nowadays nothing can beat a personalized gift from your love ones specially if you are aware that they made it specially for you. The book seems to be a great read gotta get one copy during my visit in a bookstore next week. That is a must buy book if you have passion in fabrics and knitting. Surely I will learn a lot techniques and get some great guide from this books. Where I can buy this in New York?